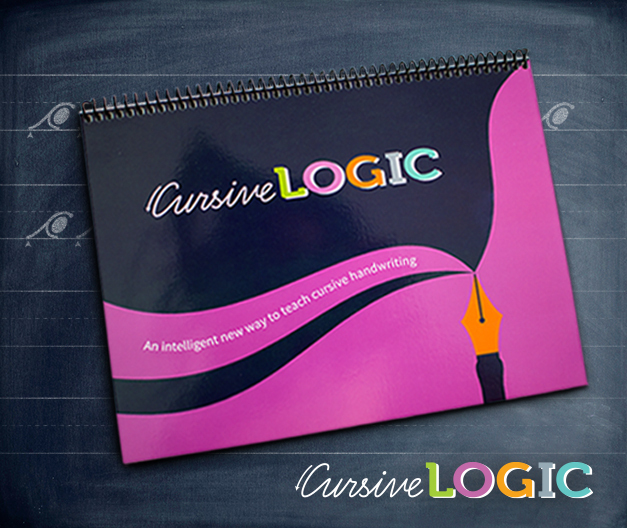 For this review, I received the CursiveLogic workbook, which is a 97 page, spiral bound book that includes 3 dry erase pages for review and practice. Just yesterday, I had a conversation about the need for children to learn cursive writing. The Boy and I had gone to the bank so he could open his first bank account. Of course he had to sign his name about 57 times on all of the different forms. The sweet lady who was helping us was telling me how that, now that cursive writing instruction has been taken out of the schools, so many young people don't know how to sign their names. I am of the opinion that being able to write in cursive is an important skill to have, so I'm very glad that Sassy is interested in learning. I also really like the approach that CursiveLogic takes in teaching cursive writing. Letters are grouped by shape. - They have grouped the letters into four basic shapes groups and teach all of the letters for each shape at one time. Letters are color coded. 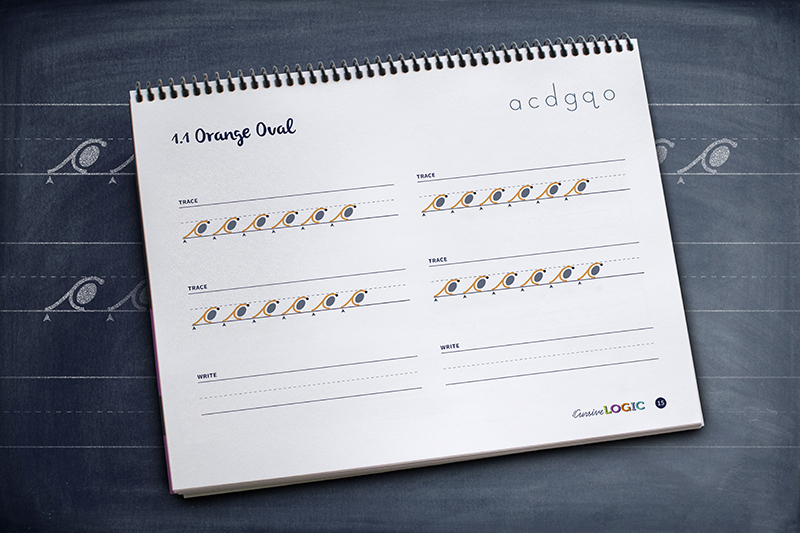 - Each of the shape groups is given its own color code to help students remember the shape. Catch phrases are used. - Students are taught to say the action verbally while they are doing it which helps aid lmuscle memory. Real words are learned. - Because several letters are taught in a shape group at one time, students can combine letters to create words in the first lesson. When the workbook came, Sassy and I set out to begin her adventure in cursive writing. 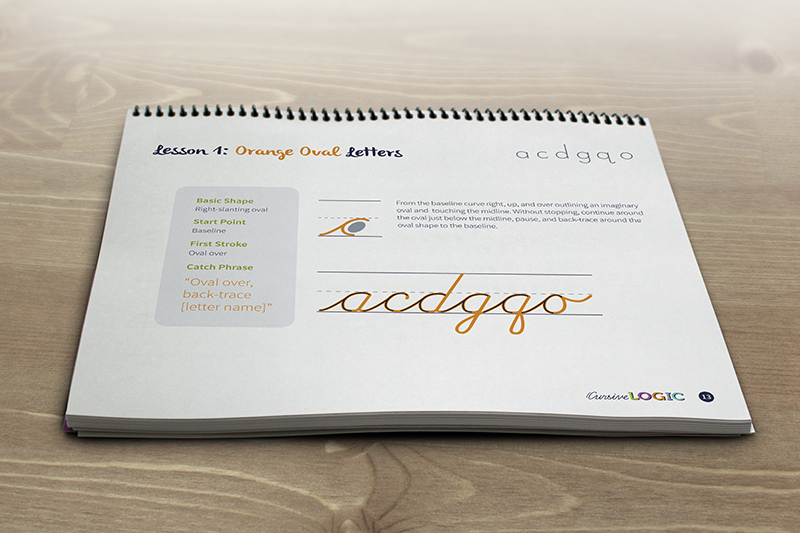 The first lesson teaches the orange oval letters, and there are plenty of practice pages. There are pages to practice the shape itself, to trace the letters in the string, to practice linking the whole string of letters together, to practice linking pairs of letters together, and to practice writing whole words made from the first group of letters. These are just a couple of the pages. 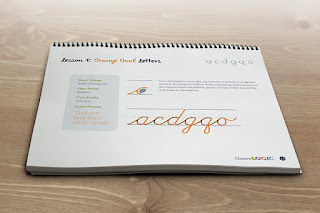 I really like the way CursiveLogic approaches teaching cursive writing. Sassy is the 5th child I have had to teach to write in cursive, and this is by far the easiest way I have found to teach it. The workbook is straightforward and easy to use. Everything is laid out in a logical fashion, and the instructions are written so that they are simple to follow.